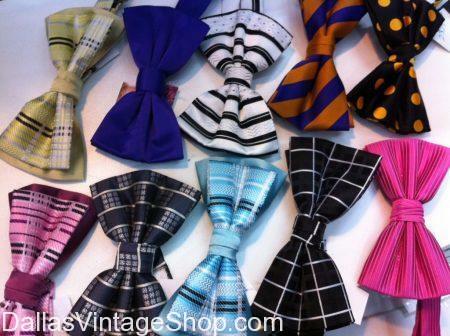 We have many hundreds of Ties and Bow Ties to complete your outfit. Our huge selection of Bow Ties are great for: 1920s Jazz, 1930s Big Band, 1940s Swing, Historical Characters, Many Hundreds of Famous People and Prom. This entry is filed under Black History. You can follow any responses to this entry through the RSS 2.0 feed. Both comments and pings are currently closed.